BMW Meet Solomons Pier Oyster Bar and Grill! Located on the water in beautiful, Solomons Island Maryland. Bring your beloved BMW and join us for great food and drinks. Get there early so that everyone can park together. In order to continue having future socials, the National Capital Chapter of the BMW Car Club of America (WWW.NCCBMWCCA.ORG) club will cover up to $20/head, so we'll collect $ to help cover the remaining part of the bill/gratuity (usually $5-10/head). Those who have a few more drinks or order more expensive food items will need to chip in more than those who stay within the $20/head limit. *As with all NCCBMWCCA socials, you do not have to be a BMWCCA member to attend. We had a great turnout last year as we took over the entire pier!!! 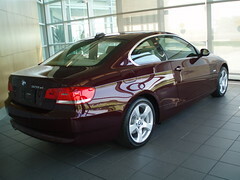 For those in the DC metro area, we'll caravan down to Solomons Island starting at Passport BMW. We'll meet there at 10am and leave by 10:30am. Its a very scenic area so get those cameras ready for some great picture taking. We'll have BMWs of all kinds, ranging from historic/vintage M6s to current year M3s (and everything in between). mcoupemindy 05-05-2010 03:08 AM - It's a possibility - I need to find out what's going on closer to then. mscire2 06-12-2010 06:54 PM - sounds like a fun trip, definitely going to try to make it. etherpool 06-25-2010 04:49 PM - Lots of stuff going on but going to try and attend. majc11 06-11-2010 02:48 PM - Should be nice. cconover 06-14-2010 10:04 PM - Should be down there by noon, going to church in the morning because my mom is doing a solo singing piece. bimmerfrau 06-22-2010 11:01 AM - +2. Leaving after church. Will run 15 min too late for the caravan. Will definitely catch up with you all on the highway. VA528i 06-22-2010 11:46 AM - Count me In!!! Trevi 06-22-2010 01:37 PM - +4....See you at Passport. BMWGator 06-24-2010 10:09 AM - I'm in! Date changed from May to June. Administrator, please change the date on the top to the new event date of 6/27/2010. Everyone will need to RSVP again. Everything is a go for the Solomons Island Social. We will have an amazing time! All is set for the social! Sounds like fun and I have a free weekend.. I'm im, See you guys at Passport! bump for our first ever Sunday social...anyone else joining us? This will be my first event and I'm excited to attend!! I work 10 minutes away, but don't get off work until 5:30 on Sunday. Will stop by if anyone will still be there. Looks like we're gonna be close to 50+ people for Sunday so RSVPs are MANDATORY!!!! It'll be a GREAT time and no rain in sight!!! I am in for one person. Looking forward to it !! RSVPing here is fine, right? Or are we supposed to register at motorsportreg.com? If so, I couldn't find it there. Anyway - please add Jim Ferrel to the list and I will be +1.